Now see , everything looks better with Steam on it ... will be a must have ,,, Love that 130' . And vary much needed with all that great STEAM coming from you guys . WOW , A ? the tenders , are they going to be coast to coast ? Or older styles ? Just seen the question for the tenders. There will be 4 styles. 1 short box. 1 long box. 1 short vanderbilt. 1. Long vanderbilt. Total number probably 20-32 tenders. Total number probably 20-32 tenders. That's a lot of tenders. How many days, or weeks, did it take to make all of them? I know I'd get burned out after just a week of doing that, maybe even a day. I was having a hard time trying to come up with a reply without putting The Lord's name in vain. 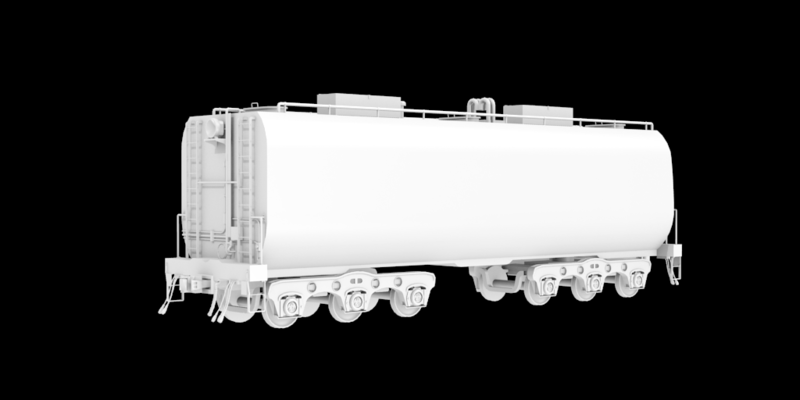 That is indeed a lot of tenders, but the more the merrier, I am going to be busy filling the freight and passenger assignments with these. For those of you feel the need for smokers on a roundhouse. I will include a smoker that is a "track objects" that can be placed on the end of the track then move into place. You keep making engine-houses that I feel the need to make a place to use . As a must use . LOL . WOW , you work fast . Fantastic work Don . On the up coming Steam , Are you guys thinking one big package ? Or are you going to break it up a bit . If the former , what price were you guys thinking at ? Just got the TBS Light Decapods , And really impressed again . Looking forward to your future releases . Your site is fast becoming a must visit for Steam nut as myself . Yay! 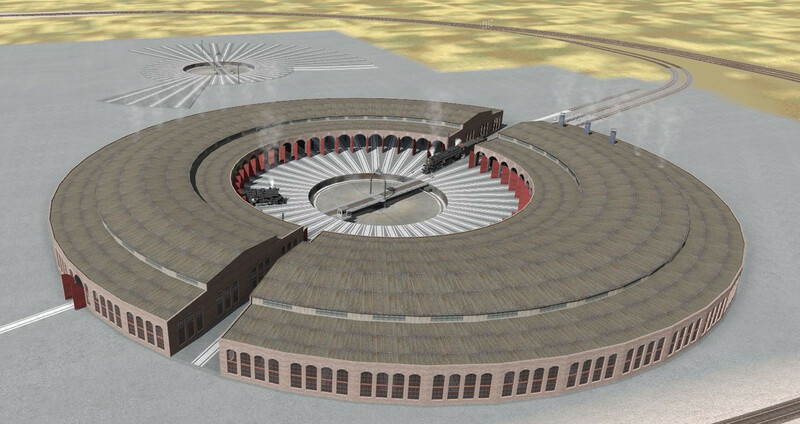 I'm sure I'll find many uses for this roundhouse/turntable too. Thank you! I have a feeling the Levi backshops will need to be upgraded! In reference to the TBS Light Pacifics in the upcoming pack. 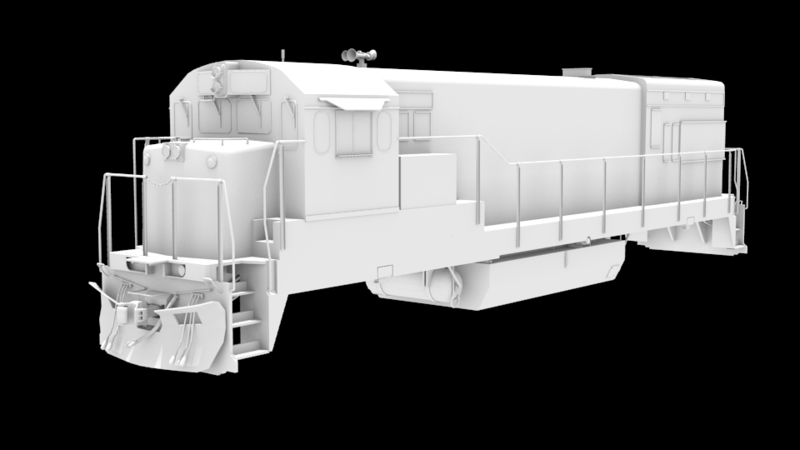 Theres going to be 48 engines and 20 or so tenders and will all be one pack for about $15. 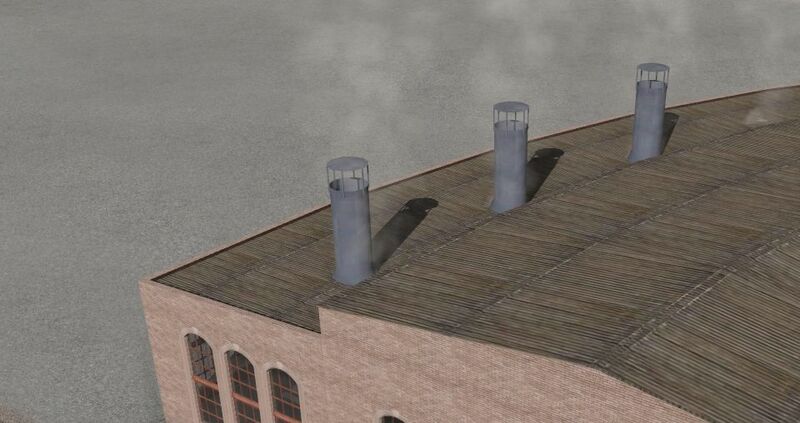 Each engine has 10 or toggle meshes or animated meshes inside. 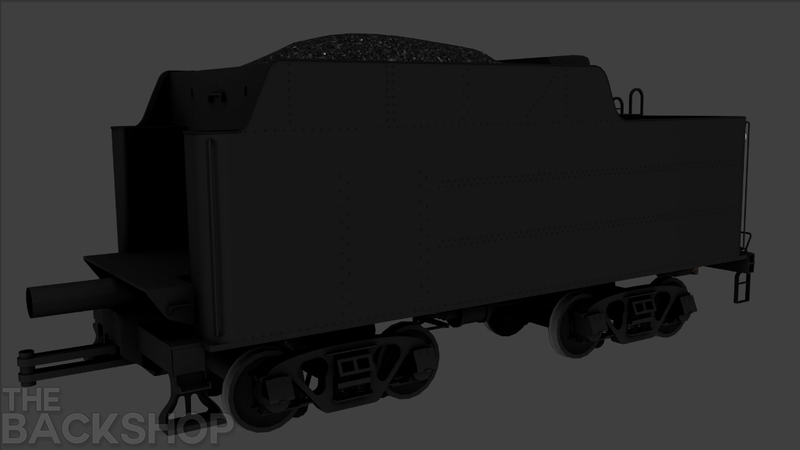 This will probably be the last big custom pack I do for awhile as the engines after this will be prototypical and either be payware or freeware.